Building a blog is the easy part and there are many platforms on which you can set up a blog or free, without any technical knowledge at all. However, getting people to come and read your blog is another matter entirely. When I set up my first blog, I was totally unaware of SEO and how important it is to put almost as much time and effort into search engine optimisation, as it is to put time and effort into the writing of your blog posts. The white-hat purists will tell you that, if you build a great blog, they will come. However, that is not quite true because, if people don’t know your blog even exists, how are they going to find it? I’m sure that if you kept on posting to a blog for many, many years and you consistently posted high quality content, you would eventually get ranked in the search engines. Most of us, however, would like to see some of the fruits of our labours before we hit retirement age. I still have my first blog and I still post to it fairly regularly, but that particular blog has now become little more than personal hobby, mainly because of the mistakes I made early on. On the other hand, blogs that have set up since I learned more about SEO are performing much better and they are now making me real money. So, whether you are blogging for fun, for vanity, or for profit, here are some tips that I know will help you get more traffic to your blog. Having a blog entitled “My thoughts on anything and everything” might well be fun to write posts for, but it is unlikely to get you many visitors, unless you are already a well-known celebrity, of course. If you are mere mortal, like me, then choose a niche that you are interested in and stick with that niche. Whether it is health and beauty, baking, or comic books, if your blog has a niche it will rank higher in the search engines for terms related to that niche and it will be much easier to generate a regular readership. Remember that the first and most important targets for your blog are human beings who you hope will read it. You can use SEO techniques to generate more traffic for your blog, but if your content is badly written, boring, or irrelevant to your niche, the people that you do attract to your blog won’t stay for long and they certainly won’t come back again. To get free traffic to your blog, you need to have your blog posts appearing on, at the very least, the first page of search engine results. You do that by thinking about the keywords that you will use in your post. While you may have a brilliant idea for a blog post, if people don’t search for the keywords and phrases that you have used in your post, they will not find your blog. You can do your keyword research for free with the Google Keyword Planner. It’s now a part of Google AdWords, so you will need to sign up for that first. However, don’t worry; you don’t have to spend money on advertising to use the keyword planner. Avoid, if you can, making your blog posts look like a wall of text, which I fear this post is in danger of becoming! The new buzzword in SEO is “dense content”, which means getting your point across in as few words as possible. To generate more traffic to your blog, now and in the future, you will need to think about mobile users and what they want is posts they can read and understand quickly, so use images and videos to break up the text and to highlight your points visually. Use your twitter account and your Facebook page to promote your blog posts. You could also set up separate niche accounts, designed solely for promoting your blog. If you do set up separate accounts, think about creating a brand for yourself by using the same name as your blog, the same colour scheme, and the same favicon. Social signals are becoming more and more important in SEO, so share your content, and then, hopefully, others will share it too. Bookmark your posts on a range of different social bookmarking sites, such as StumbleUpon, Pinterest, Reddit and Delicious, all of which can generate traffic for your blog and give you some SEO boosting backlinks. I will do a separate post about how to use of social bookmark sites for SEO, but I will say here, use the big social bookmark sites with care, or you might get banned for spamming. Don’t bookmark pages that are purely sales pitches and do bookmark pages from other sites as well, so that your own site is not the only one that appears under your login. Put share buttons on your blog and make them big and prominent. I have found that a polite note at the bottom each page encouraging your readers to share really does increase the number of people who do actually share. Each share is another natural backlink and another sign to the search engines of the popularity of your blog. 8. Don’t use free backlink services. Despite what you may have read, a modest and controlled use of paid backlinks will improve your search engine rankings when it is combined with natural backlinks. The sites that offer thousands of free instant backlinks, however, will kill your site. Believe me, I tried it, and the URL I experimented on disappeared from the SERPs, almost overnight. One of the easiest ways to bring traffic to a blog is to participate in forums and leave comments on other blogs related to your niche. Do make sure, however, that any comments that you leave are useful and informative ones, or they will just be removed as spam. 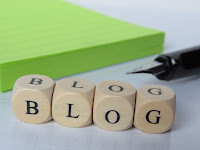 On most blog comments and forums, you can add your web address somewhere in the profile or within the comment and that will bring you more visitors to your blog and it will give some more natural backlinks. My most successful and most profitable blog to date is one that I gave up on and forgot all about! More than a year after I had even looked at this particular blog, I noticed that it was earning revenue from Google AdSense. When I did look into it further, I found that the blog was appearing on the first page of Google and, with a little bit more work, I got it to the number one spot on some competitive keywords in no time at all. I hope you found this article useful. I will be posting more articles about how to get more traffic to your blog or website, link building strategies, and other SEO topics, so please come back soon to find out more! In the meantime, please do pin, share, stumble, post or tweet this page! Submitting your website to search engines manually will get your site indexed faster. List of the top search engine submissions sites and web directory sites 2017. Highly credible links built on High PageRank, High Domain authority, High Page authority, High Trust Flow, High Citations Flow Sites. An honest review of what I consider to be the best freelance SEO Marketplace on the web. I have been a buyer and a seller on SEOClerks.com for more than two years, so read my review of SEOClerks and find out the truth about the number one Freelance SEO services website on the web.